During the holiday season, most webmasters and web designers are always looking for a good source of free Christmas graphics. Read on to learn more about where to find the most popular Christmas graphics this season. Web technology has advanced at such a spectacular pace that the need for free holiday graphics no longer applies to just websites. The phenomenon of social networking has exploded across the Internet, so this season most internet users find themselves searching for graphics that will fit in well with their forum, Blogger blog, MySpace page, or Facebook profile. The one thing these blogs, social networks, or social bookmarking sites have in common is that they allow users to insert images into profiles and posts. According to an InformationWeek Article published in August, a ComScore report indicated new users registering on social networking sites has grown by 25 percent in just one year. In the Middle East and Africa alone, the popularity of these websites has risen by 66 percent. Individual sites are seeing triple digit growth, such as Facebook, with a growth of 153 percent. Graphics on blogs and social networking sites are somewhat unique from regular website graphics in that they need to be somewhat average in resolution due to account size constraints. For example, MySpace limits picture downloads to 5MB, which typically isn't a problem. However, user total storage limits may prevent too many large pictures from being used on an account. In order to make the most efficient use of user account storage space, users of networking sites and blogging sites need to use images that are 100kb or less. Also, certain blogs have their own unique "culture" among users that often dictate the kind of graphics users like to use. For example, MySpace users often prefer using animated graphics throughout their pages. The following websites offer the perfect free holiday graphics for bloggers and social networking enthusiasts. YourCoolProfile offers free Christmas graphics for your MySpace profile. MySpaceTotal provides a large library of holiday images created for MySpace, Hi5, Xanga, Facebook, and other popular networking sites. NewCommentCodes presents a variety of Christmas graphics including animated icons, in lots of different categories. WishAFriend.com has pages of free Christmas images for all of the top popular blogs and networking sites. 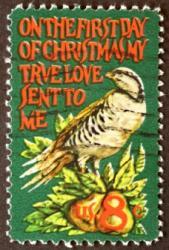 Other popular Christmas images for the Internet are small icon images, such as those that are used for forum or post avatar images. An avatar is an image that appears next to your name in a forum or blog entry, and many people prefer to change that image according to the season. Additionally, sites such as Yahoo Buzz or Digg allow you to insert small images with the bookmark description. These images are also very small icons. 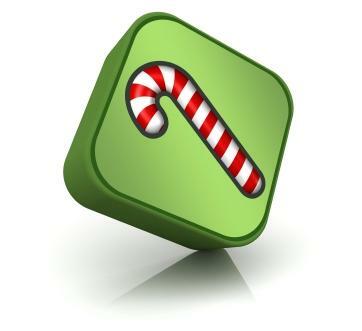 The following websites offer perfect holiday icons for such use. Beyond Avatars is a great Avatar image site that offers icons in many different categories including Christmas. Ace Avatars offers some neat cartoonish free holiday avatars. Avatars.cc provides some very cute Christmas avatars, including both images and cartoons. Search for "Christmas." Cool Avatars has a few unique animated icons, and a number of other holiday images as well. Websites require a wide range of images and graphics. From small icons to high resolution images, website designers are always seeking the best images they can find. When it comes to the holiday season, there are a variety of great websites that offer quality graphics. FreeFoto.com is an amazing resource for free photos with a very large archive of holiday graphics. The site charges for commercial downloads, however it allows free use of images if you provide attribution with a link and sign for the image with an email address. iHolidayClipart offers a collection of images including Christmas trees, bells, candy canes and various holiday background images. CoolHolidayGraphics provides an excellent collection of holiday graphics for website banners, backgrounds, comments, and more. Graphics by Celeste is a small website, but it offers custom made holiday graphics including buttons, icons, backgrounds, and even animated snow globes. Whenever using graphics on a web page, there are some basic rules of etiquette most web designers should follow. Before downloading images from a website that offers images, always make sure you check the licensing rules. Many free image sites allow users to download and use images without any restrictions, but others ask for reciprocal links or some form of credit. Make sure to review the FAQ at the free image site. Additionally, when laying out holiday graphics on your site, be careful not to overuse images on a single page. Too many images can often make a website appear to "busy" or tacky. However, used tastefully, Christmas graphics will help you to create a festive web page this holiday season.